Not all the Sparkling Wines are Champagne. Even though I am a lover of Sparkling wines, I have to recognize that, Champagne is the king of bubbles. I do not often enjoy Champagne as I more frequently enjoy other Sparkling Wines, but for New Year's Eve, of course, Champagne will be on my lineup. Let's revisit a bit this type of wine. Champagne is only made in Champagne, France, a town outside of Paris. All the other Sparkling Wines are not Champagne, some of them are called Method Champegnoise, or Method Traditional but they are not Champagne, so heads up for your next Champagne purchase. Always review where is it produced -the region- as labels are often misleading. I had the idea that Champagne was very expensive. I did some research within this category of wine and realized an extensive tasting. Hence, I am going to recommend you good quality price Champagnes under $50. Brilliant pale gold, with tight bead and persistent mousse. Chardonnay green pear apple and toasted bread on the nose, with distinct wet stone minerality. Lush creamy mousse upon entry, rich full and crisp, with warm toasty elements. Explosive aged Chardonnay elements, intense minerality and great depth of flavor. Length and persistence of Burgundian style Chardonnay in the finish. Regardless of whether a festive occasion, aperitif high class, or with dinner, it deserves to be enjoyed with delicate dishes such as a Sole “Meuniere,” steamed lobster, or halibut. Read more here . I was very curious to try this Champagne from Eppernay France. Aromas of lemon, apple, pear, honey and bread. The palate is fruit forward of lemon, green apples, white flowers and butter. A lot of acidity and bubbles are not very persistent. I liked it but is a light bubbly. 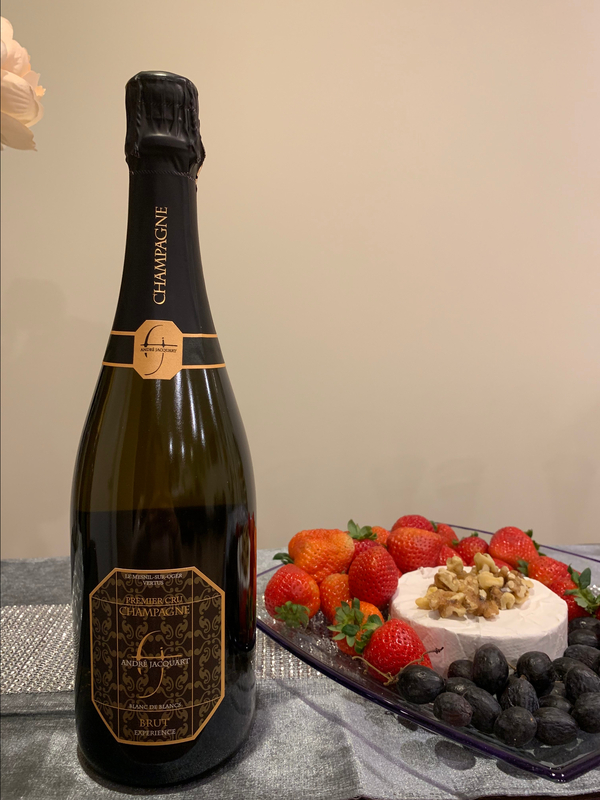 This Brut Non Reserve was served at the 2018 Royal Weddings, being from an English House you will not expect less. Check out the video posted above for more info and hoping this will help you pick the right champagne on your budget.